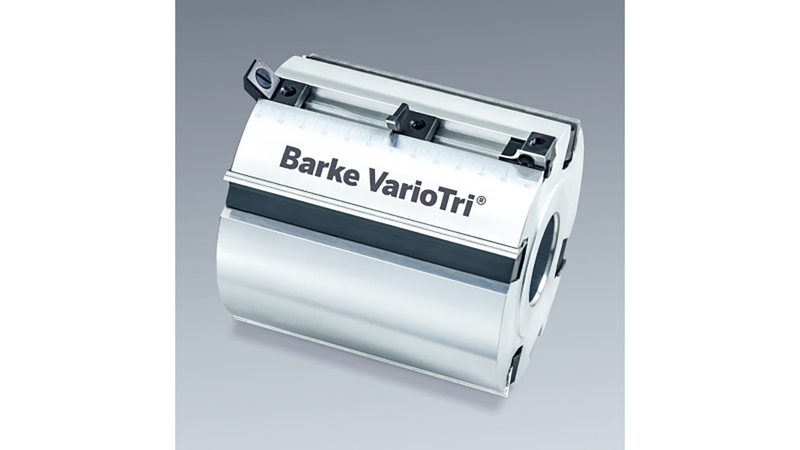 With our Barke VARIOTRI cutter heads, you can simultaneously plane, groove, and process edges. This saves time and costs. Our multi-heads can also be used with table routers, although with only 2 - 4 simple reversible turnblades. Changing the turnblades is extremely simple and is done without an adjustment aid - by simply inserting and fastening the Barke replacement turnblade. All of these advantages make the BARKE VARIOTRI Multihead indispensible for your company as well.